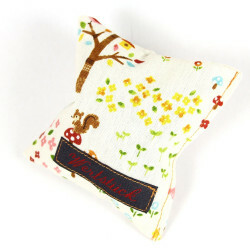 Beautiful gifts and individual gems for you to give away or to be made by hand and made by Wertstueck Flickli in love. 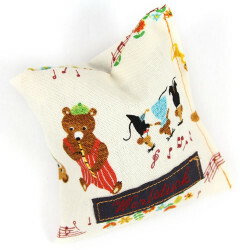 From Lavendel pillow which is sewn by hand are the buttons with needle, the so popular and timeless pins and images embroidered and artistically arranged, can be found in this category small and great things to give away. Looking for a special gift to find the best available, but also medium-priced and high-priced products in great variety. Over 100 gifts and gift ideas await you. A gift for yourself! 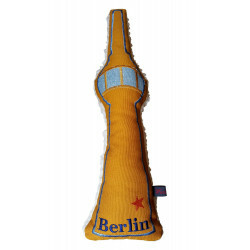 Souvenirs of Wertstueck Flickli from Berlin and in Berlin and Germany made, we like to offer here and look and to prepare you a joy if you "beautiful gifts for yourself and others" find a gift in our category for you or your loved ones. beautiful gifts for yourself and othersThere are 46 products. Button and buttons, made from fabrics not printed on paper, are the perfect complement to the custom built by us appliques. 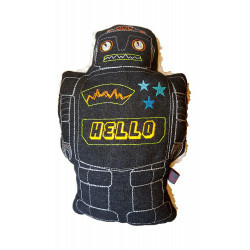 Buttons can easily combine with an individual iron-on patch or a badge suitable to wear outfit. With button and buttons of Wertstueck Flickli is now possible at any time. Our button we manufacture in lovingly hand-made and so the own design without permanent fixing nothing stands in the way. The button will be offered in sizes 56mm. fabric button are clearly valent than their printed counterparts. The color fastness is more durable and by changing fabric patterns, each button and buttons to a real unique. 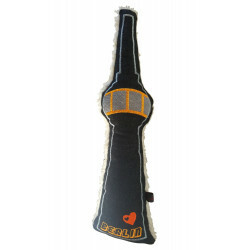 These high quality button are the perfect small gift and are always a popular souvenir. Button and buttons which are made by hand in Germany at a favorable price. 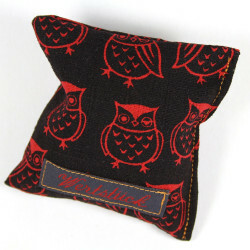 Aroma pillows and sachets. 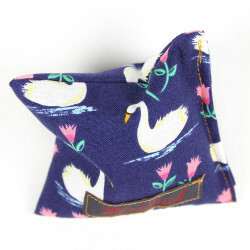 Just wonderful the smell of lavender pillow and lavender bag. Soothing and fragrant as lavender is known for a long time just as aroma a pure natural product. Lavender sacs and lavender pillows sewn from great designer fabrics decorative look and the smell of lavender pillow fills every room. 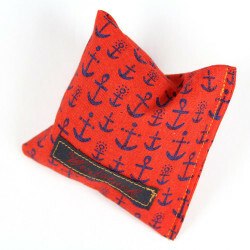 The sachets are filled with lavender also be very useful to embedded clothes in the closet safe from moth infestation. 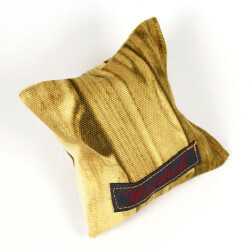 As nocturnal rest donors on the nightstand offer lavender pillow a pleasant aroma to the night. As a pure natural product, by simply press to be replaced for a long time with his hand the smell of the pillow. 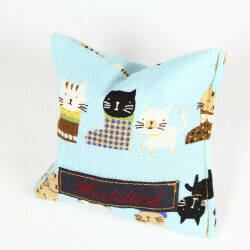 Here we offer a wide range of hand-stitched lavender pillow of Wertstueck Flickli. 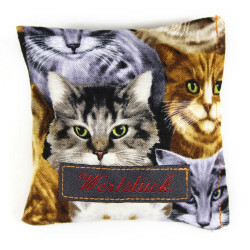 Lavender pillow of Wertstueck Flickli offer traditional experience in an attractive contemporary design. 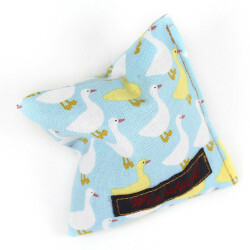 The stuffed with lavender sachets are individually hand made and so each lavender pillow is unique and at the same time a unique gift. Actually, it is already in the word: iron-on images! Iron-on images or ironed pictures. We make more than patches. 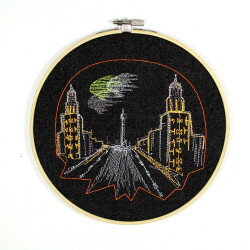 Collages of embroidered appliques are unique and if it should be a very special gift, then find themselves in this category gems disappear more and more in a mass market. Whether as a great image for kids or a small picture for adults. Here art is in order. 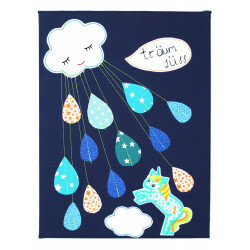 Collages made of single embroidered iron-on appliques which are a great decoration for any child's room can be found here for boys and girls and for those who like it magical and special. Our handmade, each picture is unique! The perfect gift for your girlfriend? Applied quality embroidered pictures on designer cotton fabrics and instead presented in simple picture frame in an embroidery frame are an individual asset to any living room. Carefully selected textiles printed as images that are simply different and stand apart from their printed relatives by their high quality. The decorations are offered just once other images. A picture may be worth a thousand words! We take pictures and tell stories! From witches and princesses, ghosts and castles, of unicorns and fabulous sleeping foxes. Pictures of Wertstueck are not drawn. The collages for children and adults will leave a lasting impression, the embroidered and embroidered, applied, ironed, sewed and covered. Is to decorate a room individually such an experience! We hope you enjoy mind choosing a unique gift, for you or for your friend for your child or the child of your friends or as a gift for men! 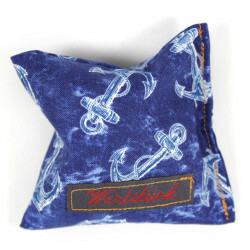 For Wertstueck Flickli patches a really nice gift card! 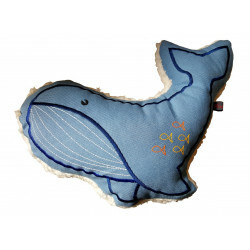 Mobile as a beautiful decoration for children's rooms are an ideal gift for birth or birthday for small children. 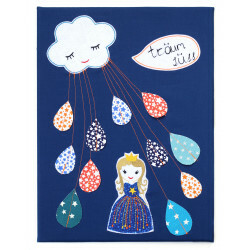 These mobile train the children's eyes and create a magical change in the children's room. Mobile in different forms can be purchased with or without applications in this category. 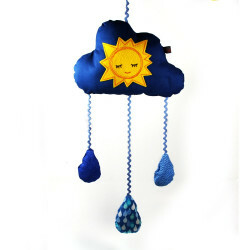 Handmade clouds Mobile with sweet drops and made of designer materials always form a great living accessories in the children's room. Mobile by Wertstück Flickli are simply great gifts for kids and parents to birth or birthday. 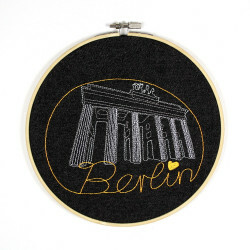 Hoop image Brandenburger Tor Diameter ø 20 cm Diameter inch ø 7.87"
Hoop image Frankfurter Tor Diameter ø 20 cm Diameter inch ø 7.87"
Button whale fish fabric button 2.2"
Button cat blue eye fabric button 2.2"
Button skull fabric button 2.2"
Button hippo fabric button pin 2.2"
Button unicorn pink fabric button pin 2.2"
Button football fabric button pin 2.2"
Button shamrock fabric button pin 2.2"
Button sitting fox fabric button pin 2.2"
Button sailing boat fabric button 2.2"
Button girly red hair fabric button 2.2"
gift packaging for Wertstueck Flickli appliques, hotfixes and Flickli.